Editor's Note: There is a photo and video associated with this press release. 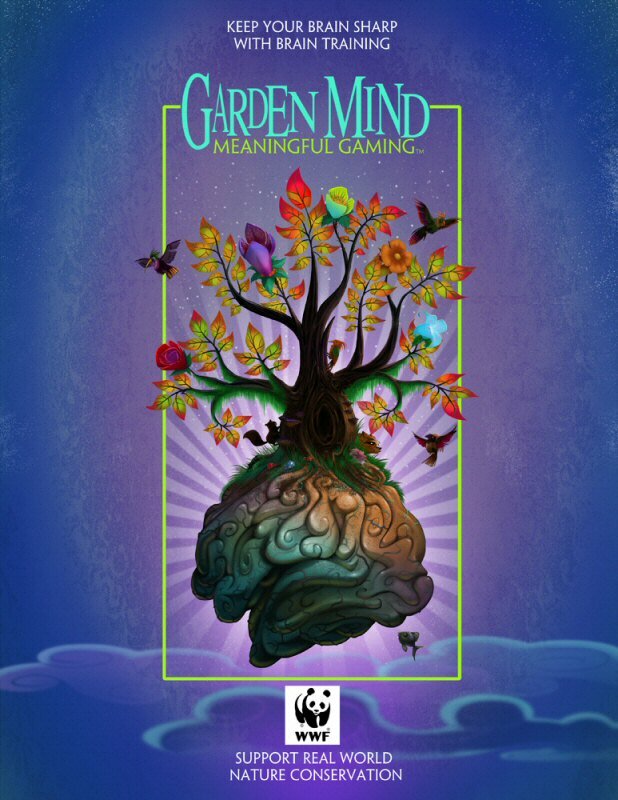 Vancouver-based video game developer, Inspirado Games, has announced a partnership with World Wildlife Fund Canada to enable players of the online brain training game, GardenMind, to support real-world conservation initiatives by completing in-game brain game challenges. "We chose WWF-Canada as our partner because of their incredible dedication to protecting threatened habitats and endangered species as well as the logical fit with the concept of our game," said Inspirado Games CEO, Rick Davidson. "If a player wants a virtual Tiger for their garden they have to actively protect Tigers in the real world through WWF's Save The Tiger program." The GardenMind game itself is based upon the metaphor that your brain is like a garden and needs to be nourished each day through mental exercise. The argument for brain training is that just like the other muscles in our bodies, our brain needs regular exercise to remain strong and healthy. In GardenMind, players plant garden items in their virtual garden and then play a variety of brain training games to grow those items. Given that video games have historically come under fire by skeptics for being "a waste of time", meaningful gaming products such as GardenMind are a clear sign that the video game industry is evolving to meet the needs of new market segments – in this case not just the needs of entertainment and social connectivity, but also personal-development and contribution. In GardenMind, players grow their virtual garden by playing more than 20 brain training games across 7 categories. Each category of game is linked to a specific type of garden item; eg. Language games grow flowers, Memory games grow trees. Social engagement comes through assisting friends' gardens, leaderboard comparisons and community initiatives such as supporting environmental causes. The game is free-to-play at www.gardenmind.com or through Facebook at www.facebook.com/gardenmind.